Welcome! 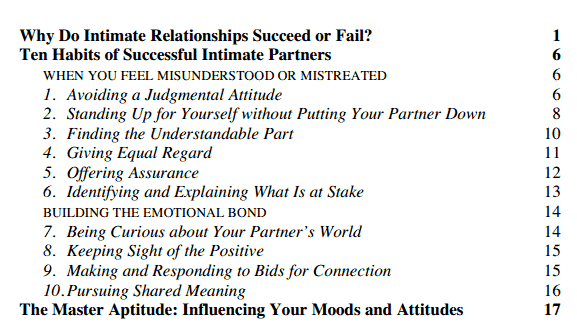 The following resources are methods I use for couples counseling. Couples Counseling is not covered by insurance. "This is a highly recommended resource when one spouse (or significant other) has Borderline Personality Disorder. 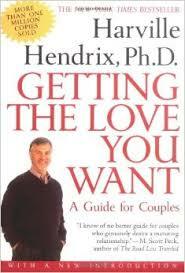 High Conflict Couple is a guide for couples seeking to ease their conflicts and deepen their relationship. This is an excellent book to share with your BPD partner as it doesn't make direct mention of BPD - other than that the authors are all leaders in the field of BPD. "BPD" couples need more than just the run-of-the-mill relationship advice to solve relationship problems. When out-of-control emotions are the root cause of problems, no amount of effective communication or intimacy building will fix what ails it. 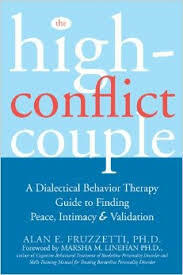 According to Fruzzetti, what "high-conflict" couples need is help regulating the emotions that provoke the "escape or win" mode of interaction that has come to define them. 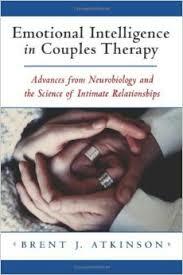 In this book, Fruzzetti, adapts these emotion regulation tools (dialectical behavior therapy - DBT) for use by couples. 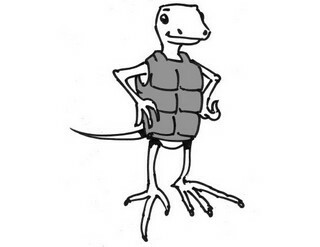 For example, Fruzzetti suggest analyzing the relationship and identify the issues that cause conflict ("triggers") - and then identify more constructive ways to handle them. Once you have identified the typical triggers and also identified more helpful alternatives; put them together - 1) imagine a trigger; 2) imagine remembering your goal (to improve your relationship); and 3) imagine responding in a self- respecting and respectful way. " Being in a healthy, loving relationship is a challenge in our modern times, but there are many, many supports to help you and your partner in this wonderful endeavor. 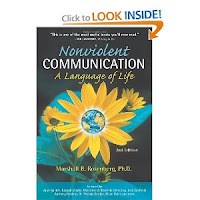 Marshall Rosenberg's NVC offers practical, concrete skills for manifesting the purpose of creating connections of compassionate giving and receiving based in a consciousness of interdependence and power with others.